Pronouncing Dutch diphthongs, consonants and vowels , such as /au/, /oe/, /b/ or /p/ and the /u/ is not always so easy for learners of Dutch. 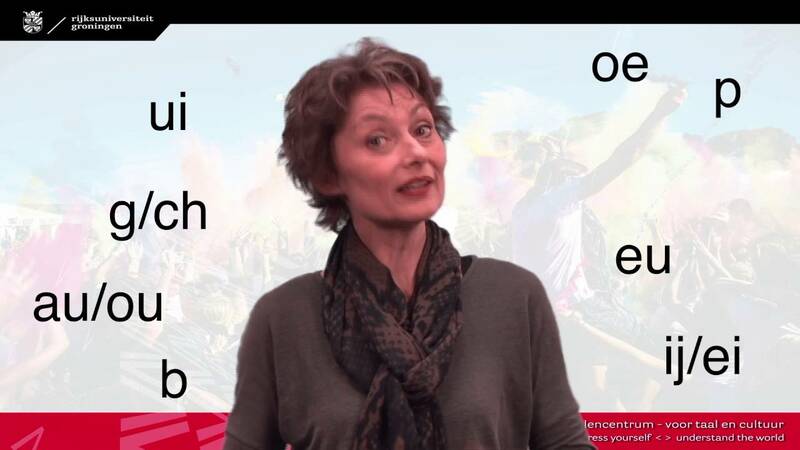 Therefore the Dutch Section of the University of Groningen Language Centre developed and produced videos to explain the ten most difficult sounds and allow students to learn and practise items. These videos are suitable for learners to use as self-study material. Teachers can also work with these videos when they want to spend more time on practising certain sounds in their Dutch classes. There are two playlists with 48 short videos. The first playlist contains three types of video per sound. There are explanatory videos, videos with a sound discrimination exercise with feedback, and finally videos with a sound reproduction exercise. The other playlist contains 12 videos with sound discrimination exercises without feedback. These videos can be extremely useful for teachers to show in their lessons and to emphasize the necessity of the correct pronunciation. The project was realized by Jelske van der Hoek and Ine Sandor of the Dutch Section of the University of Groningen Language Centre. Last modified: 11 June 2018 09.34 a.m.